Unlike surfing there doesn’t have to be a wind to go skimboarding. 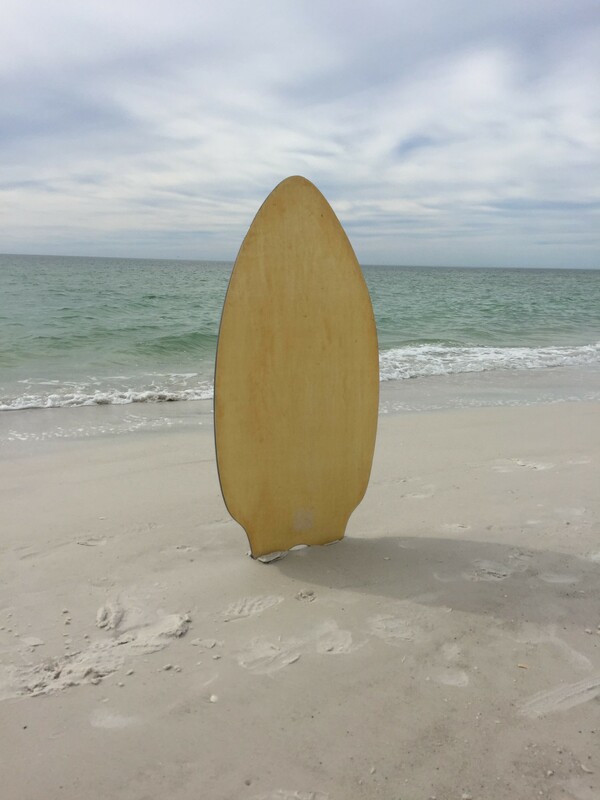 Just get a running start , throw your board into the surf, and skim the waters! Use it to start on the shore and with enough practice you can skimboard on the waves! Our smooth sand and tame waters make it the perfect conditions to try out this sport. Our skimboards feature a thicker and more narrow design with the perfect amount of rocking motion. The design is loose and responsive. The contoured shape provides for increased maneuverability. The suggested weight limit is 60 pounds. Sit back and watch the waves roll by. Our 3 position chair allows you to choose which position is comfiest for you! If you are using any of our water equipment we throw in a life jacket for free. Just let us know the sizes and how many you will be needing.